JAMIE GORSON, Olin College ’16, is spending her summer interning at Cortica, a company devoted to helping computers “read” images. 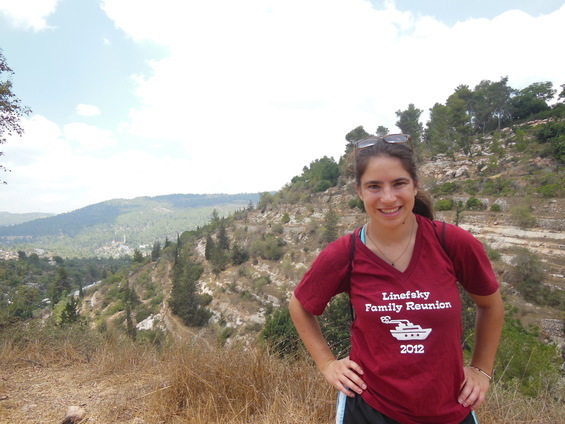 Jamie is a participant of the Boston Onward Israel 2013 program. One thing that amazes me about Israel is that although it is such a small country in size, there are so many places to visit, explore and learn. Although I’ve been here for two months I still have a list of things in Israel that I have not yet done and can’t wait until I have the opportunity to accomplish. This weekend I experienced parts of Israel that I knew very little about and had exciting learning opportunities. 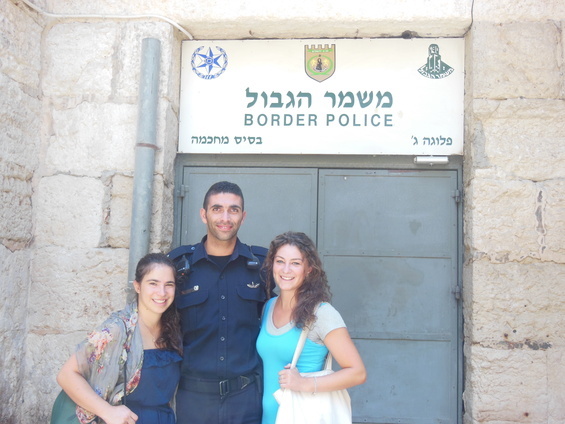 As part of our CJP programming, we went to the West Bank – more specifically, an area called Gush Etzion. I had heard these settlements talked about in the news all the time. In fact, I had made judgments on how they should be dealt with although I was missing a lot of information. After going to a lookout where we could see for miles, we went to a museum which talked about the history of the area from the Jewish perspective. I never thought about the fact that there were kibbutzim built in this area long before the UN divided the land. This clarified a lot for me as to why Jews were still living and building in these areas. They had been raised on these lands, so they felt that they had a right to being there. Not only do I now want to revisit the West Bank and learn more about culture there, I have not yet been able to go on the Temple Mount. This trip was the first time I have been able to go right up to the border of the Temple Mount. Non-Muslims are not allowed across besides at very specific times by government law to help maintain peace. So unfortunately, all of the times that I’ve tried in the past few weeks, I’ve been stopped. I, fortunately, have been able to get a nice, in-person view of the Temple Mount. I never realized how beautiful and innate the Dome of the Rock is. There is so much detail on the building. This weekend, when I was stopped at the gate, one of the soldiers talked to us. He was Druze, so I learned a little about his culture as well as why they restrict the times of non-Muslims at the Temple Mount. Finally, for a few days of work this week, I am going to my company’s office in Tel Aviv. 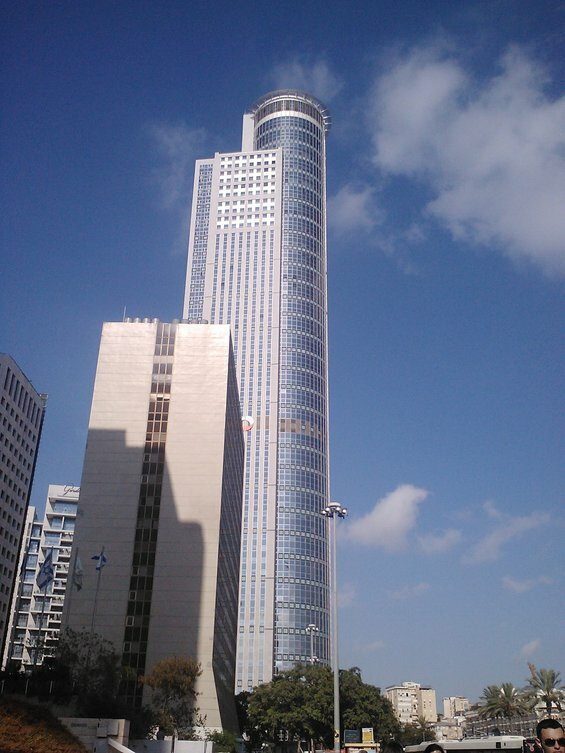 I’m working in the tallest building in Israel! It has 68 flights, and Cortica (the company I intern for) is on the 43rd. It was fun to see another office and have the opportunity to work with the graphic designer. 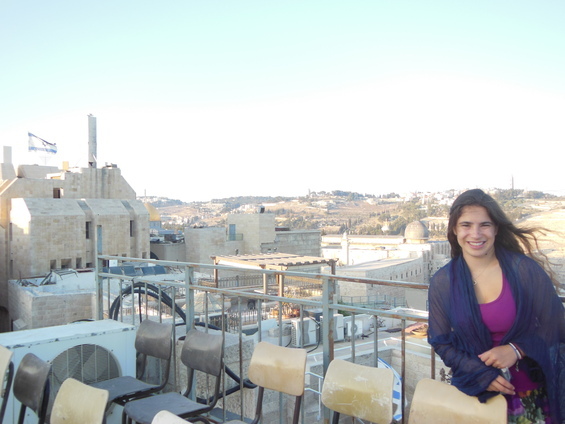 Working in Israel has been a good experience for me. It has shown me that the only way to get something is to be forward and ask for what you want. Although never stopping being respectful, you must be very forward and not hold back from saying your mind.